A PLAN to charge Transport for London for running Crossrail trains into Heathrow Airport has been provisionally rejected by the Office of Rail and Road, and its stance is being supported by the Department for Transport. The operators of Heathrow own the stretch of track from Heathrow Airport Junction on the Great Western Main Line to the airport terminal stations, the first of which were built by the airport's former owners BAA so that Heathrow Express services could start in 1998. Heathrow Express has since provided a frequent service charging premium fares, although a parallel stopping service, Heathrow Connect, was later added and charges lower fares. 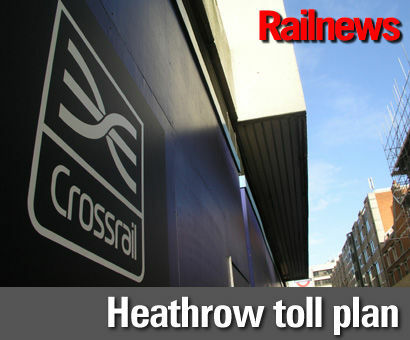 Heathrow Airport Limited has proposed that each Crossrail train should pay a levy or toll, reported to be around £600, for the use of its 8.6km of track and stations serving the airport, and the annual bill for Crossrail manager Transport for London would be in the region of £40 million. But Crossrail is intended to provide integrated access to the airport without a premium fare, as the Piccadilly Line has always done. The ORR has now launched an industry consultation, saying: "The focus of this consultation is not whether HAL can charge users for access to the Heathrow Spur, but whether it can charge them for one specific type of cost – the historical costs of constructing the Heathrow Spur itself. "This decision hinges on the interpretation of a piece of EU-derived law which says that charges for such construction costs can only be levied on train operators if the project could not have gone ahead without them. It is the interpretation of 'could not have gone ahead' which is crucial in this case. "What makes this case unusual is that it is being applied to a project that is already built and was indeed built before the relevant law came into force." Meanwhile, the Department for Transport said: "Crossrail will have a transformational effect, bringing better and faster journeys for passengers across London and beyond from 2018, boosting jobs and economic growth. The ORR consultation runs until 10 March.